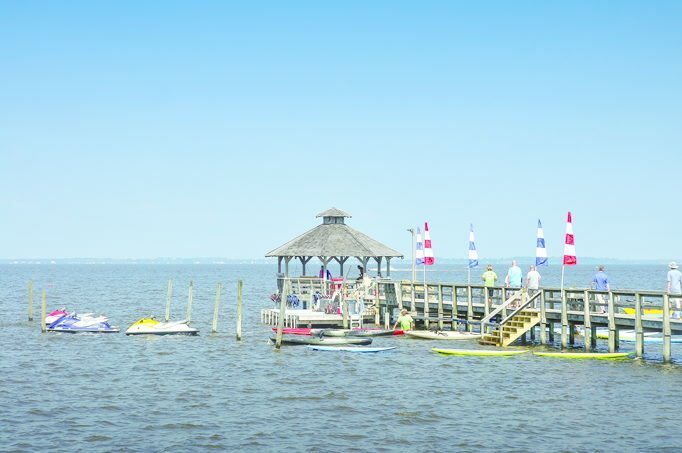 Waverunner Rentals ---Tired of sitting on the beach? Want the thrill of driving your own Yamaha VX110 3 seater waverunner? Grab your friends and start having some fun. Ask us about our group rates. Contact us now for booking schedules and times! 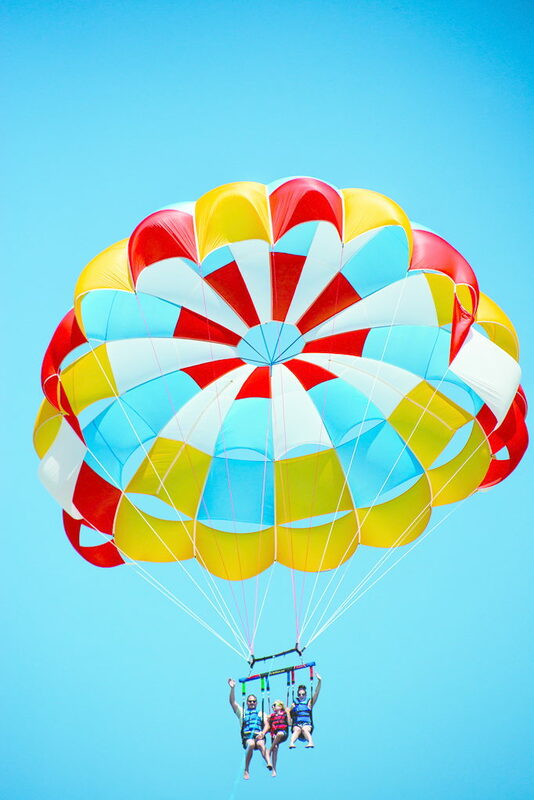 Parasailing Fly high with our 600, 900 and 1200ft parasailing excursions. Want to get wet or stay dry? You choose. Want to fly with friends? No problem, we can fly singles, doubles and triples. 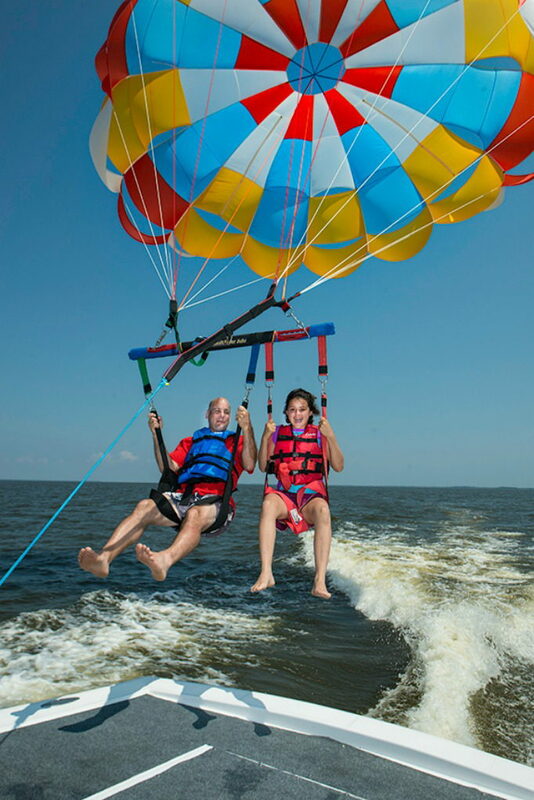 Whatever options you choose you will be inspired by the views of Corolla and invigorated by flight. 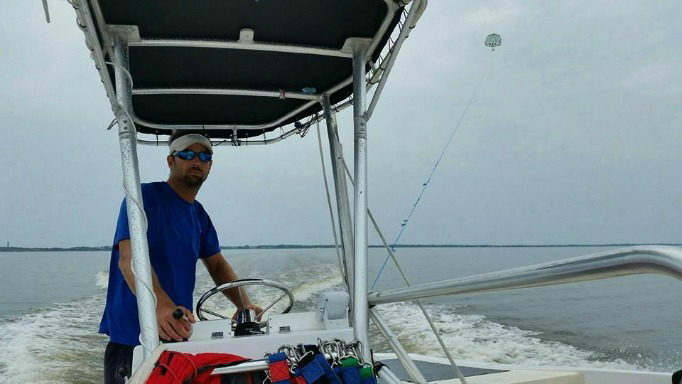 Our USCG inspected boat can hold up to 12 passengers. 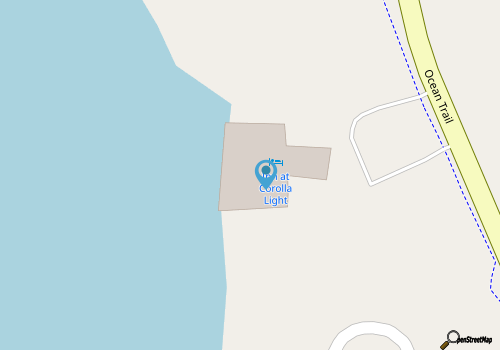 We also offer free observers if space is available. Remember to ask about our professional photo package. Contact us now slots tend to fill up fast during the summer. 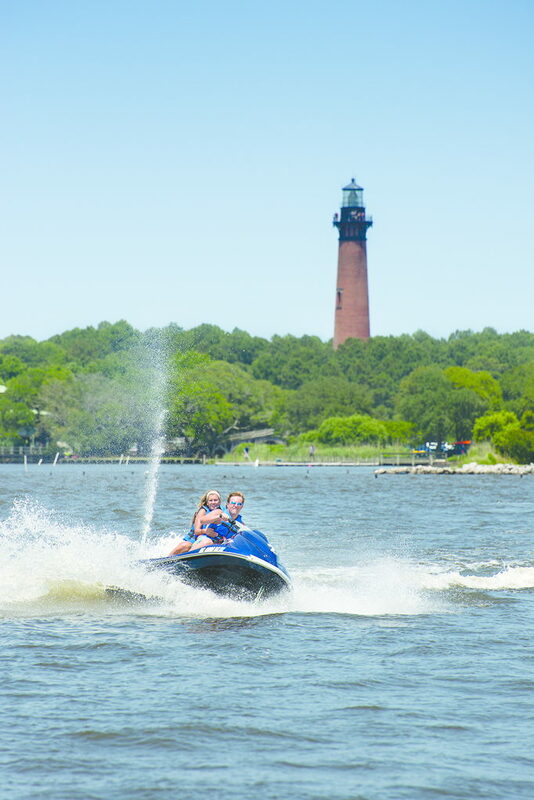 Tubing- For an exciting family experience come try our tubing and banana adventures. 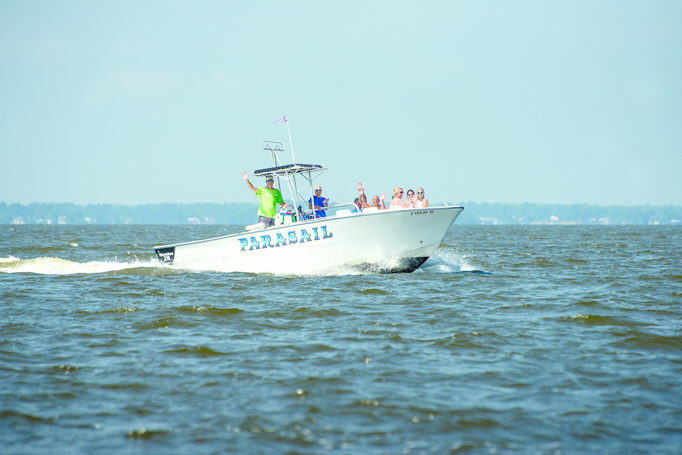 Our USCG inspected boat can hold up to 12 Passengers, the tube can hold up to 4 and the Banana can hold up to 10 passengers. 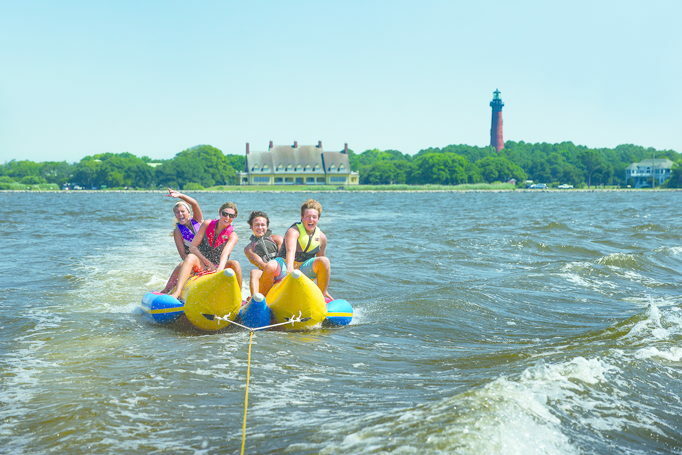 We are the only Company in the Outer Banks that can hold up to 12 passengers for tubing and banana. Contact us for details. 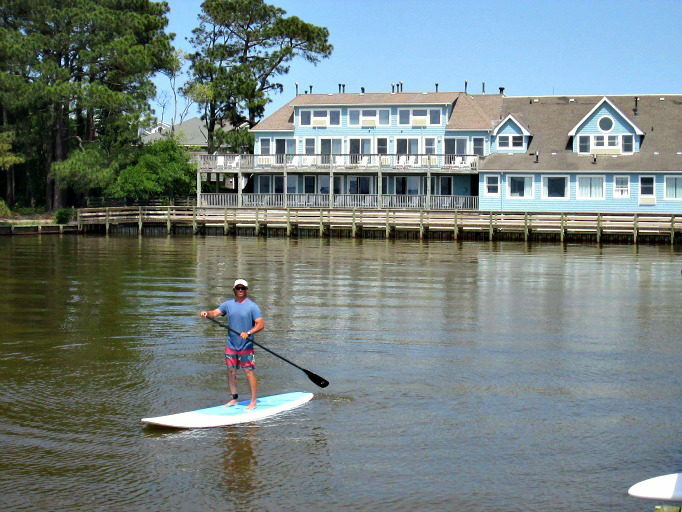 Standup Paddleboards & Kayaks We have fantastic paddleboards for exploring the shores of the Currituck sound. 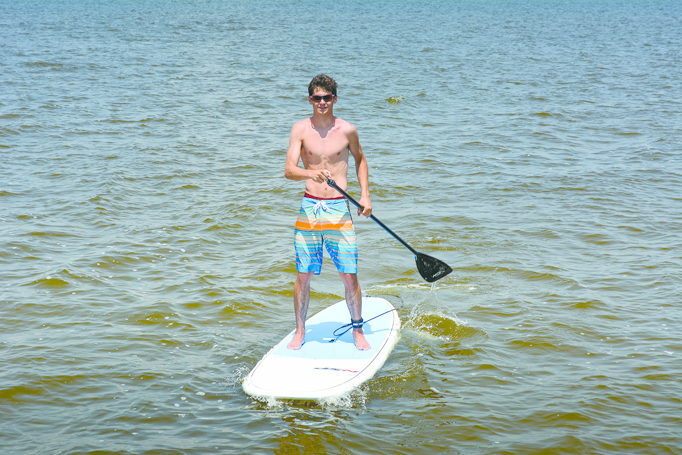 The generous dimensions of these boards make for a very stable ride for any size rider or experience level. 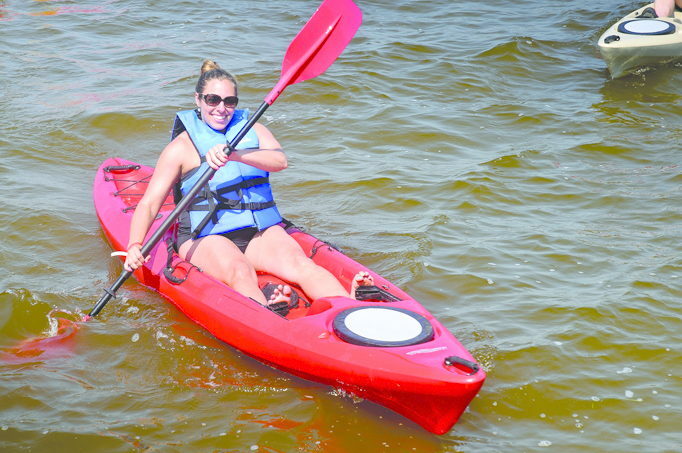 If you are looking for something less strenuous we have sit on top single and double kayaks.